Our college library has a lack of book's. College canteen is so poor , they only have samosa and biscuit to eat. Overall the social life is very good. One more thing I like about our college is the beautiful garden where we can seat and study during our break time. 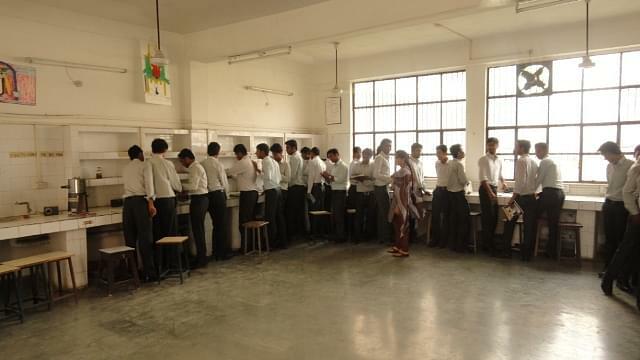 All Saints College of Technology, Bhopal was established in 2002. It is a part of Saints' Group of Institutes. It is affiliated to Rajiv Gandhi Proudyogiki Vishwavidyalaya (RGPV), Bhopal and approved by All India Council for Technical Education (AICTE), New Delhi. Their main aim is to achieve excellence in technical education, in consonance with which social service, Indian cultural values and national goals are an essential focus of the ethos of all saints’ college of technology. It is located facing the International airport Gandhinagar in Bhopal. The computer is well equipped with latest softwares and configurations. The college library has a collection of over 3000 reference and 23000 volumes of books. It subscribes to 36 national and international journals. Available for girls student with accommodation capacity of 200 female students separately.